Of all the chemical exposures that can affect the life and performance of electrical cables, oil is one of the most damaging. 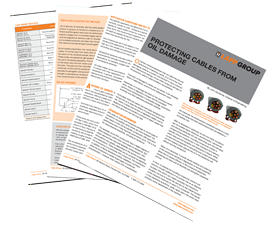 If ignored, oil damage to cables can be severe. It will ultimately result in cable failure, downtime and replacement costs. Fortunately, there are cables that have been designed from the ground up to resist the effects of cooling and lubricating oils.